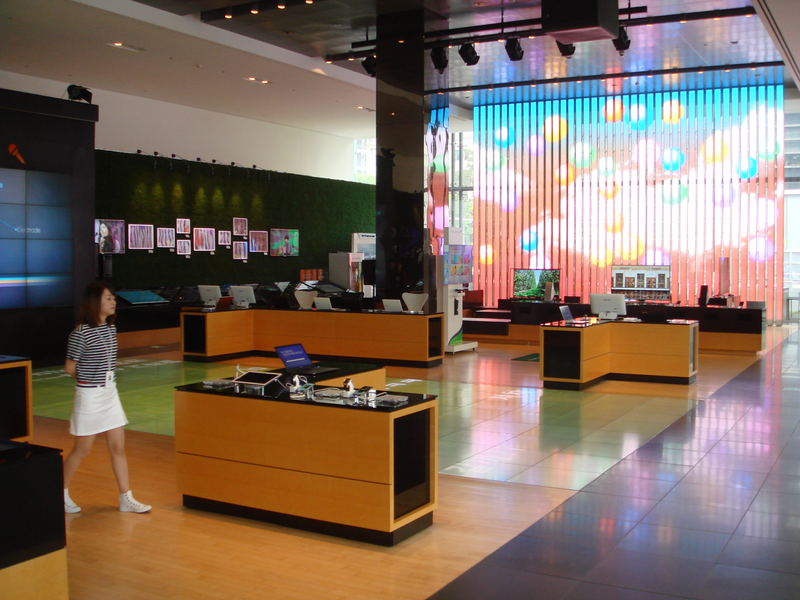 Last week I visited the Samsung Electronics flagship showroom building in Gangnam, South Korea. Inside, it was cool and modern, with many high-tech gadgets and well-displayed top-line Samsung products. There were assorted 'experience' areas where we could enjoy super graphics. The staff was smiling & professional. Last Saturday morning there were very few other visitors. The building itself was nice from the outside, but marred by being surrounded by police vans -- dozens parked bumper-to-bumper around the block, and hundreds of riot police spookily marching back & forth. Like low Samsung prices? They come at the expense of the people working on Samsung products. 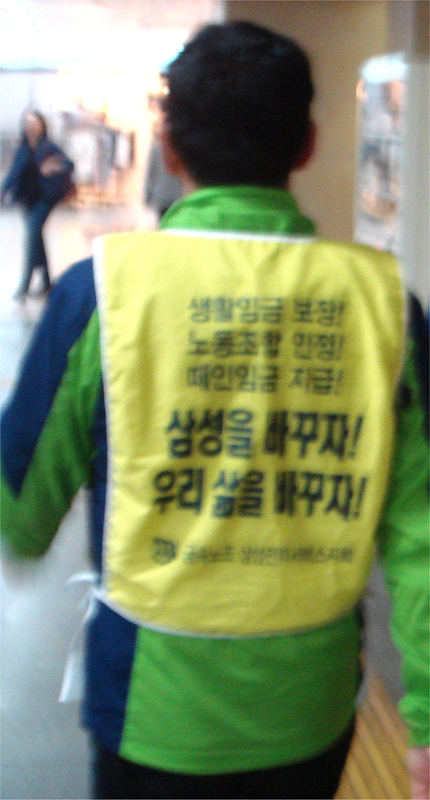 Samsung uses an army of irregular workers paid substandard wages. Labor is protesting corporate insensitivity. Many stories are pitiful, some have ended in suicide. Samsung management is reportedly highly vindictive, retaliating against activists. More about the worker struggle here (link). Samsung is famous for demanding a lot from its workers (one Japanese potential new hire told me Samsung required working 13 of 14 days - every other Sunday off). Their products seemed to me overly shiny, but now the shine is dulled knowing Samsung megacorporation cares little for people. But most giant organizations care nothing for regular folk. Until we citizens agree to reign-in corporate cruelty, welcome to reality: the Hunger Games.